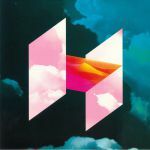 Review: Hot Piroski is a newly minted label that promises to serve up "a boisterous mix of space disco, deep funk edits and Balearic beats" all commandeered by Barcelona producer 12Tree. Things get off to a sultry start with the cosy undulations of "Lazers", which sports a housey strut to carry its wistful melodic tones. "Gamma Ray" is a spicier affair with rugged bass that firmly plants the tune in the dirty disco department. "Swamp Love" has more of a classic edit feel with its dusty, looped up samples and choppy edits, but it's equally a delightfully laid back groover to suit a whole plethora of situations.